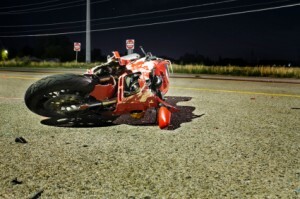 Choosing the Right Motorcycle Crash Lawyer | Phoenix Personal Injury Law Blog - Breyer Law Offices, P.C. Every Tempe motorcycle collision victim has rights. That’s right, even you. But if you’ve recently sustained serious injuries in a collision you may feel that you don’t have rights. The insurance company, the driver who hit you with their vehicle, and other involved parties may be trying (or succeeding) at making you feel that you are somehow at fault for the accident or for your injuries. That’s why motorcycle injury attorneys can be so helpful when you’ve been hurt. It only takes one call to set up an initial consultation, and the information you get can help you determine whether hiring an attorney is the right option for you. Calling sooner than later is important especially for motorcycle cases because evidence can be destroyed more easily and it is necessary to interview witnesses right away, even if you know that you were not at fault for the incident. Read on for info on how to choose a motorcycle attorney. When you visit an attorney for the first time, you will usually know right away if you can work with them long term. Motorcycle injury cases are typically not over in just a few weeks, so it is important to feel comfortable with your decision to make a claim and with whomever you decide to hire. Usually for these types of cases, it is always best to talk to an attorney and see what your options are rather than waiting. The attorneys at the Breyer Law Offices, P.C. will do whatever it takes to ensure that you get the information and help you need to make a decision on how to proceed with your claim. To start your free consultation and your lawsuit, reach out to The Husband and Wife Law Team now.